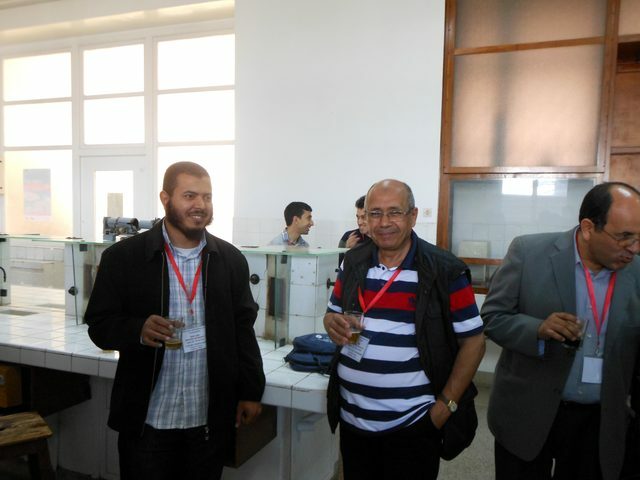 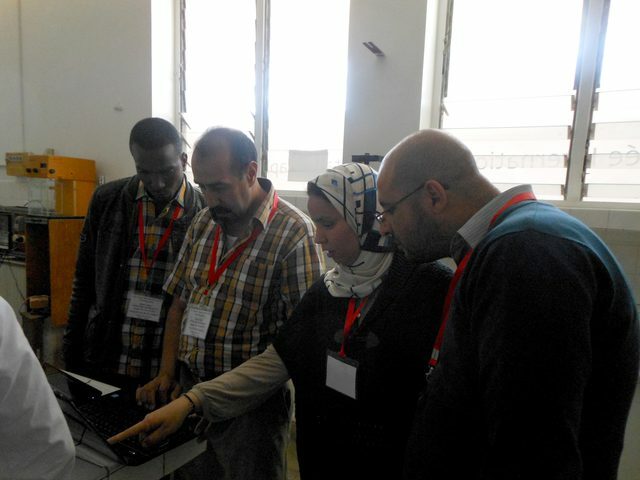 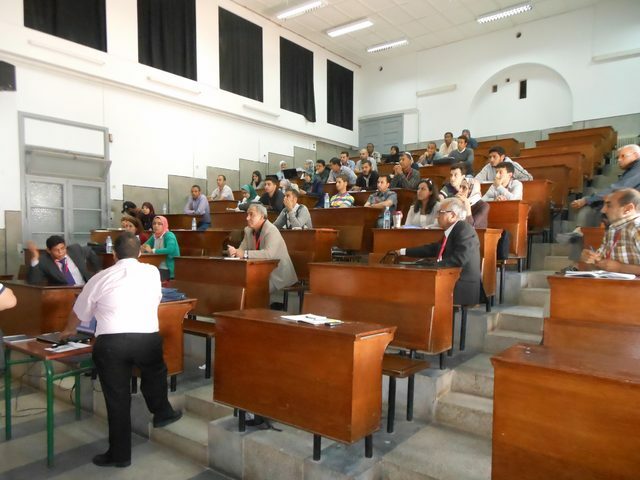 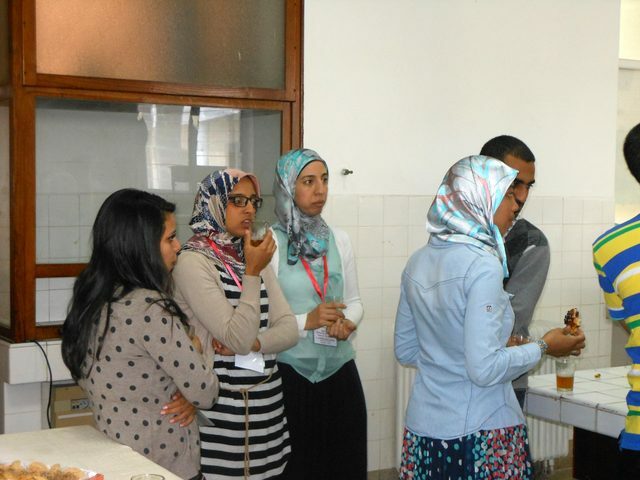 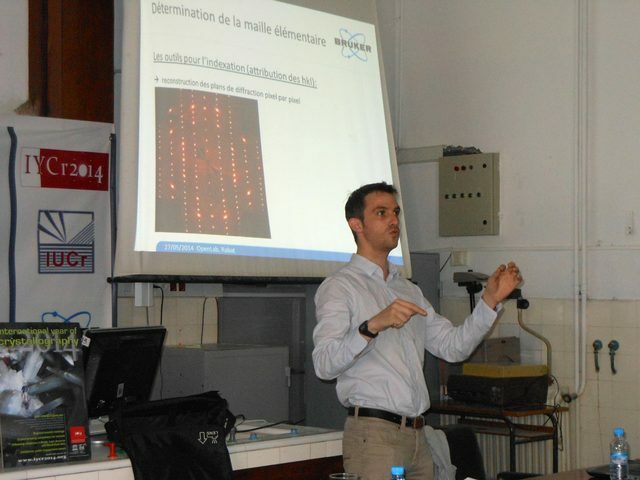 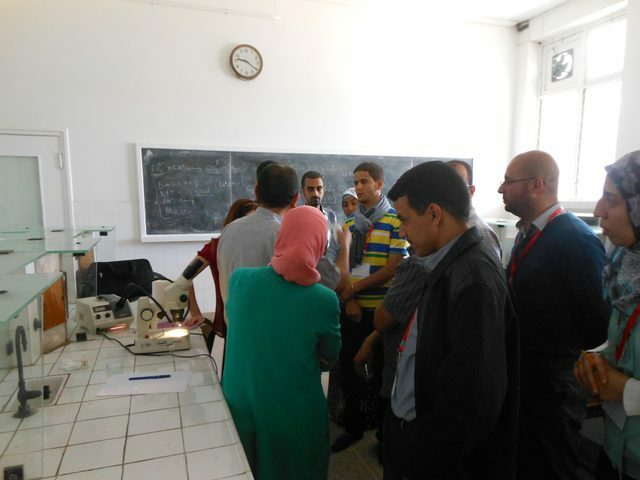 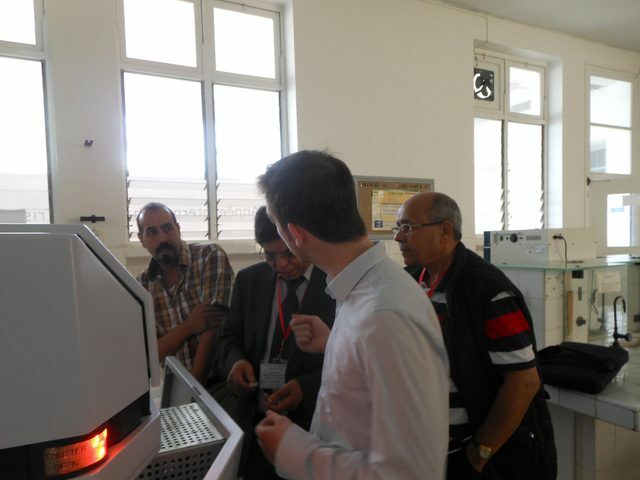 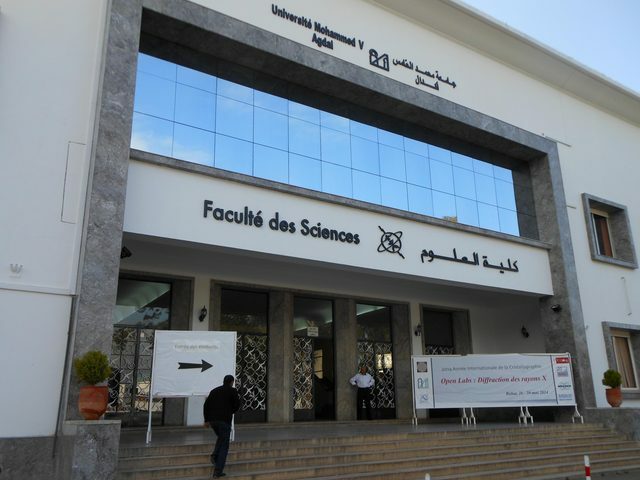 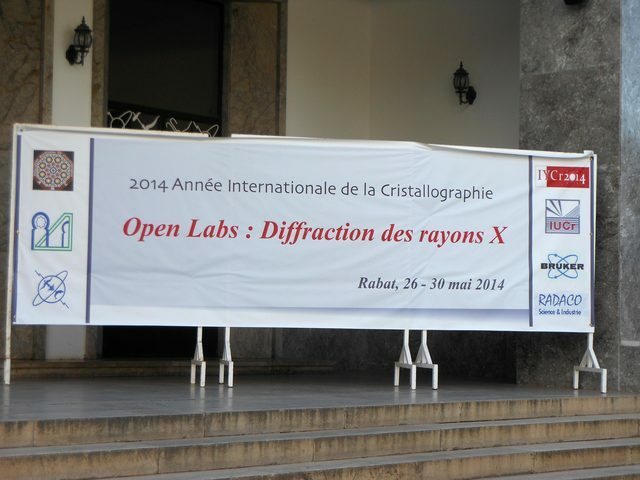 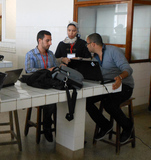 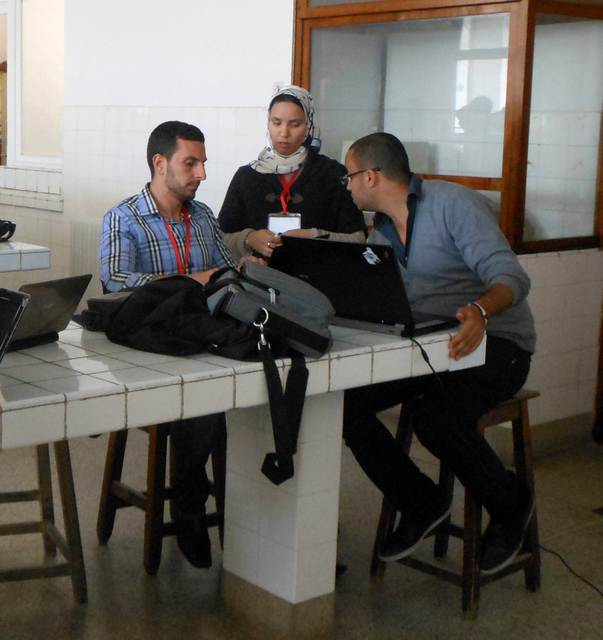 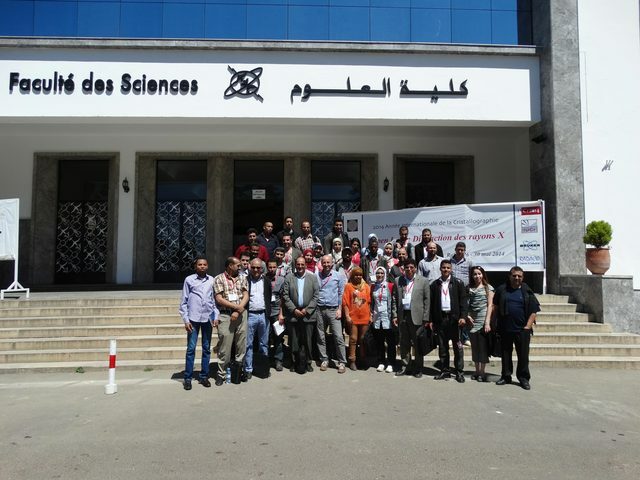 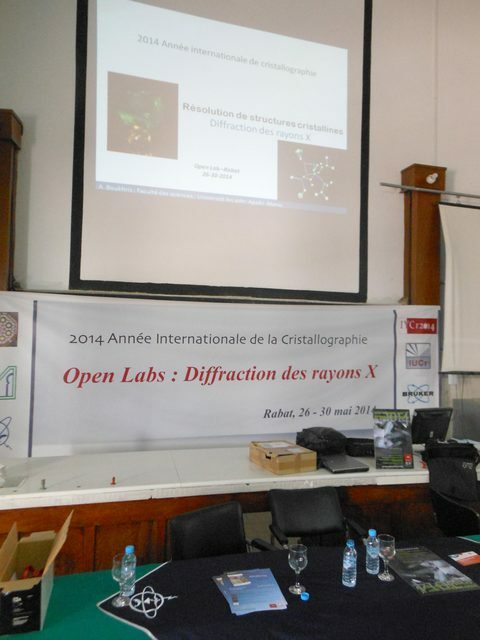 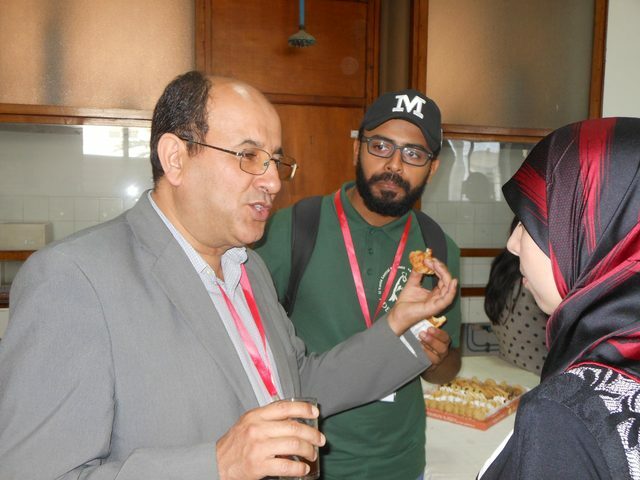 The IUCr-UNESCO OpenLab Morocco is being held in association with Bruker France as a travelling lab, with tutorials and lecture sessions in Rabat (26-30 May), El Jadida (9-11 June) and Agadir (16-20 June). 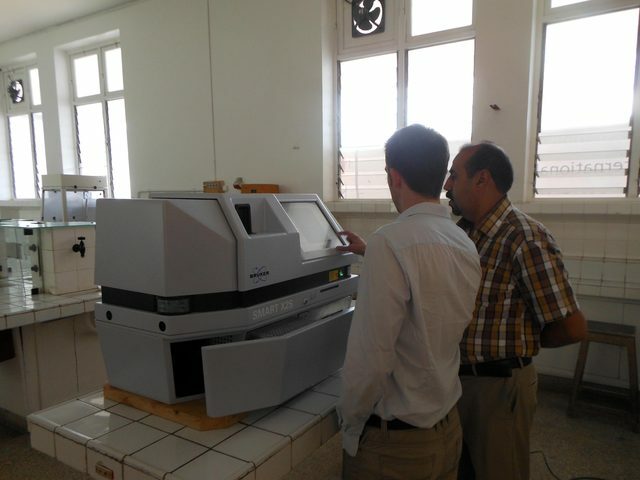 It demonstrated the methods for structure solution and refinement by X-ray diffraction by making use of Bruker portable instrumentation (X2S single-crystal diffractometer and D2 powder diffractometer). 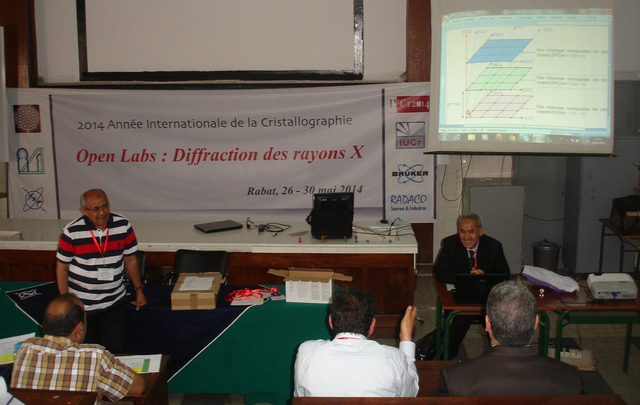 Loïc Le Dréau, Khalid Yamni. 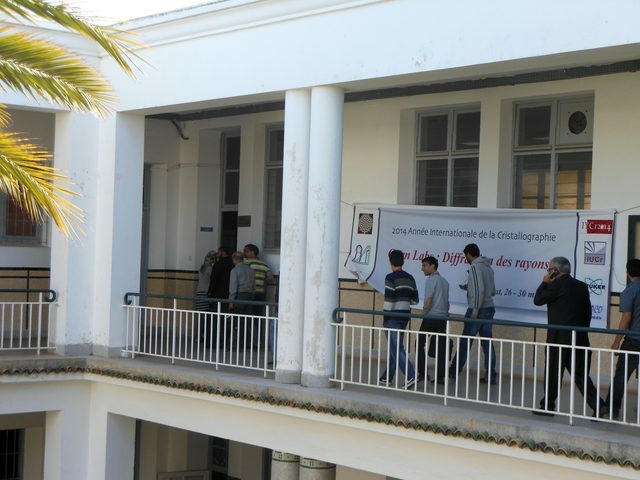 Khalid Yamni, Lahcen El Ammari, Loïc Le Dréau, Abdelmalek Thalal. 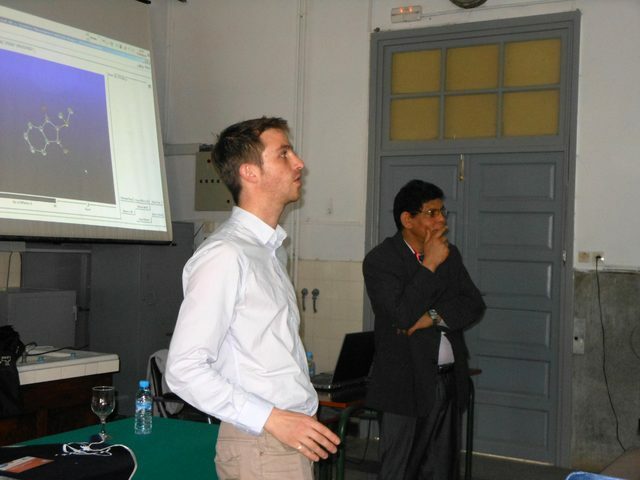 Loïc Le Dréau, Lahcen El Ammari.